POPULAR horseman Toby Ryan will continue to search for short distant races as he looks to work Dont Tell William through the grades. Registering his ninth win when successful at Port Pirie last night, Dont Tell William is yet to score over a distance longer than 1800 metres. The gelding’s latest success was in 1:57.1 over a mile. “He likes the shorter course racing,” Ryan said. “If you break his record into two halves, one for 1800 metres or less and the other for races over a long trip you will see too very different tallies. “He just doesn’t get the full 2200 metres and is often found wanting. With Ryan’s reinswoman-wife, Lisa, in the cart, Dont Tell William worked to the lead from barrier six before being eased to take a trail behind the short priced favourite, The Shooting Star. 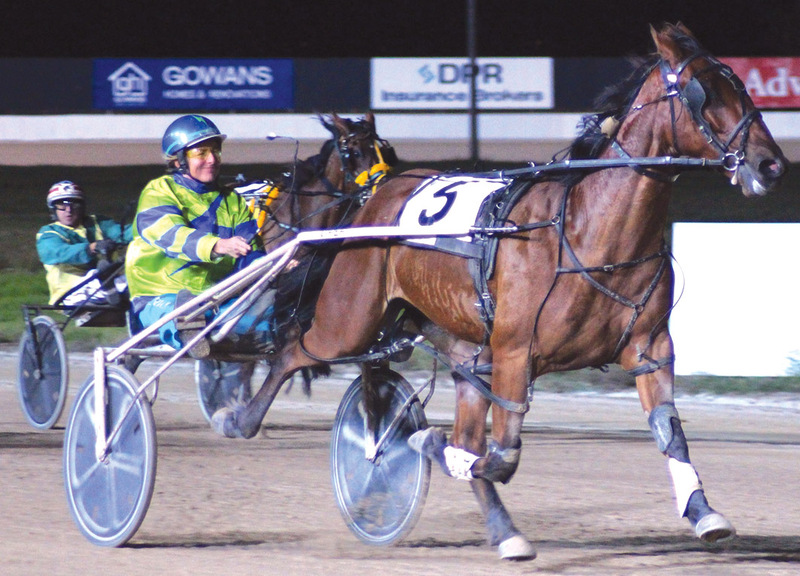 Angled into the passing lane during the latter stages, the son of Bettors Delight sprinted to a two-and-a-half metre win from Rhyflective, with The Shooting Star a metre-and-a-half away third. “That was a nice run from him,” Ryan said. “He did a bit of work early before gaining the trail and then had enough left to finish it off nicely.